Palm Springs is one of my favorite places on earth. So, I'll take any excuse to head down to the desert. Luckily, my best friend (Jen of One Fine Day SF) loves it as much as I do. 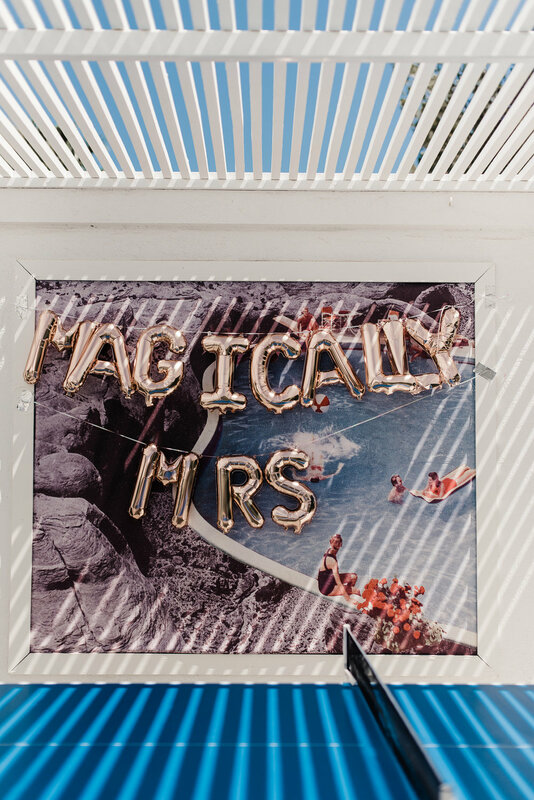 When it came time to pick a destination for her bachelorette, the decision was easy. 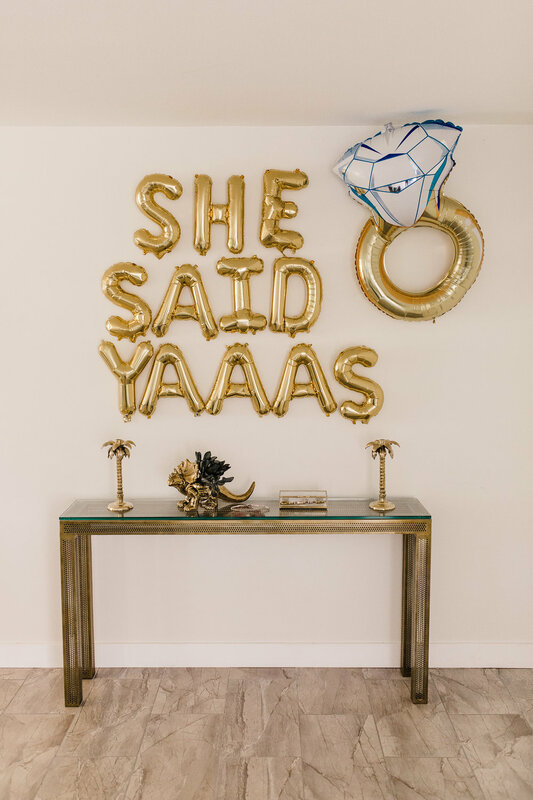 I began my search on Airbnb (I have also used Vacation Palm Springs before and highly recommend them) for the perfect property to celebrate the bride-to-be. I'm a total sucker for well decorated interiors and mid-century modern design, so picking a rental in Palm Springs is not something I take lightly. Luckily, I found The Weekend House and was ecstatic to know they were availably during Memorial Day Weekend. 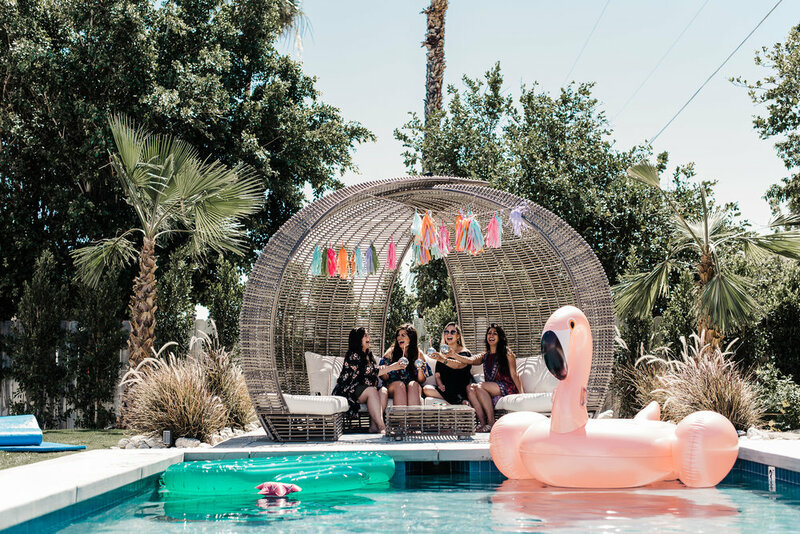 Flamingo wallpaper, an iconic Palm Springs blue door, incredible cabana, large pool, umbrellas, cactus everywhere...the list goes on and on. 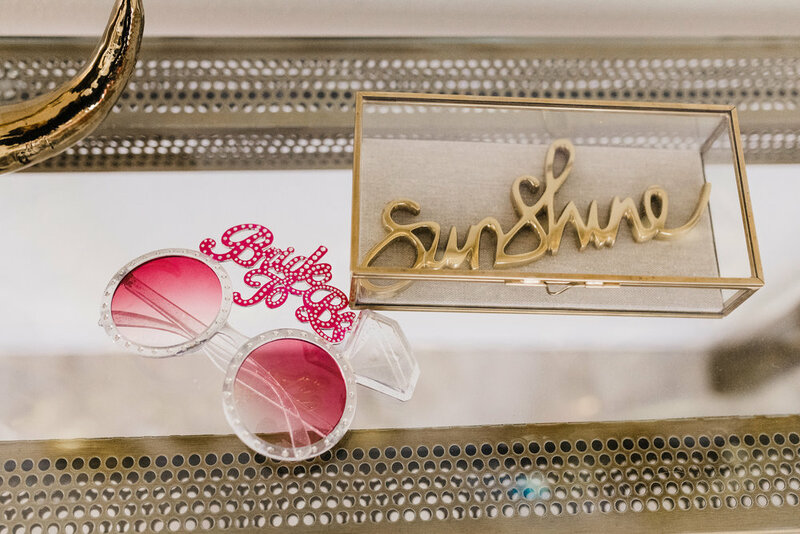 The home is decorated like a Jonathan Adler showroom. Everything put in it's place with perfect care...and Instagrammer's dream! I wanted to do something a little different. So many of the bachelorette themes are overdone and I just couldn't bear to not at least try to be a little original. So, I opted for being intentionally unoriginal with sticking to all things that would fall under "what's trending" - everything from rosé, Beyoncé, Coachella, flamingos, pineapples...you name it. 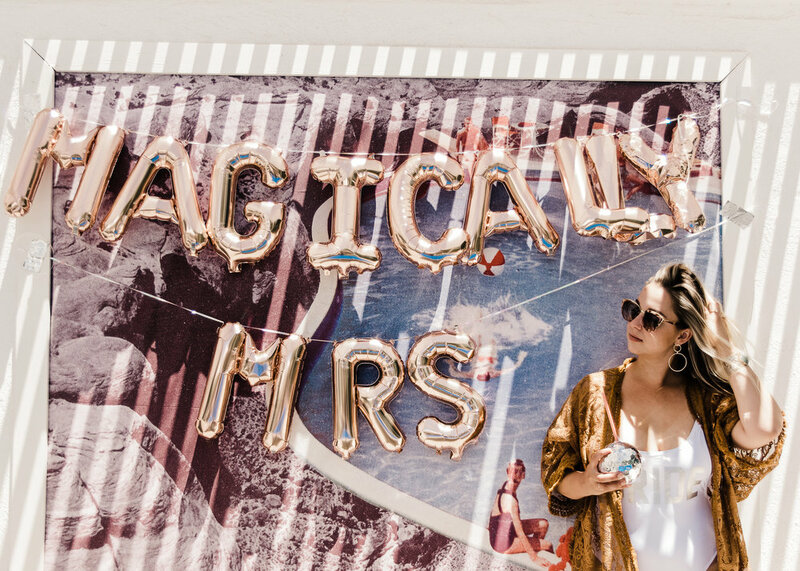 Between Etsy and Packed Party - I was set with everything needed to celebrate the bride-to-be in the desert.